This Bull started off as the most hated bull market in History, and it is now metamorphosing into the most insane of all Bull Markets. By any measure, this Market needs to let out some steam as it is trading in the extreme of the extremely overbought ranges. Historically, the crowd is almost always in the bullish camp at this stage of the game, but that does not appear to be the case. In fact, what stands out is that the masses are as anxious as ever, and yet the markets are trading close to their highs. Stock Market Trends-Is the Stock Market Heading for a Crash? 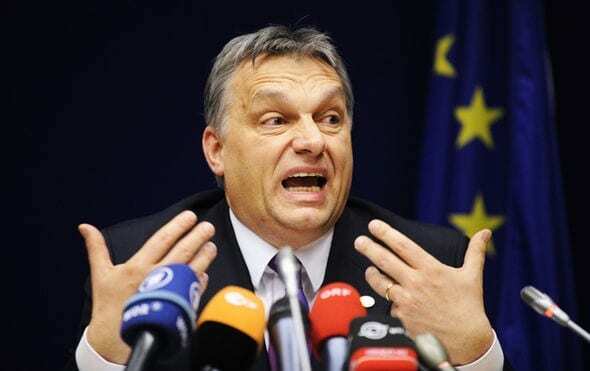 Soros has accused Prime Minister Viktor Orban of running a corrupt “mafia state.” Orban alleged that the Hungarian-American investor was paying “agent-like networks” of non-governmental organisations to enforce his policies, including the promotion of migration, in Europe and Hungary. The war on Soros continues to rage, and we expect in time that more nations will join the war. When Soros gets interested in something, chaos is sure to follow. However, individuals like this are about to experience a massive setback, and this trend will last for years to come. Soros has never done a good deed; his entire mission is to destroy the sovereignty of nations. He seems to delight in misery and pain. The US should stand up to this vile man. Israel’s foreign ministry has issued a statement denouncing U.S. billionaire George Soros, a move that appeared designed to align Israel more closely with Hungary ahead of a visit to Budapest next week by Prime Minister Benjamin Netanyahu. Soros, a Hungarian-born Jew who has spent a large part of his fortune funding pro-democracy and human rights groups, has repeatedly been targeted by Hungary’s right-wing government, in particular over his support for more open immigration.